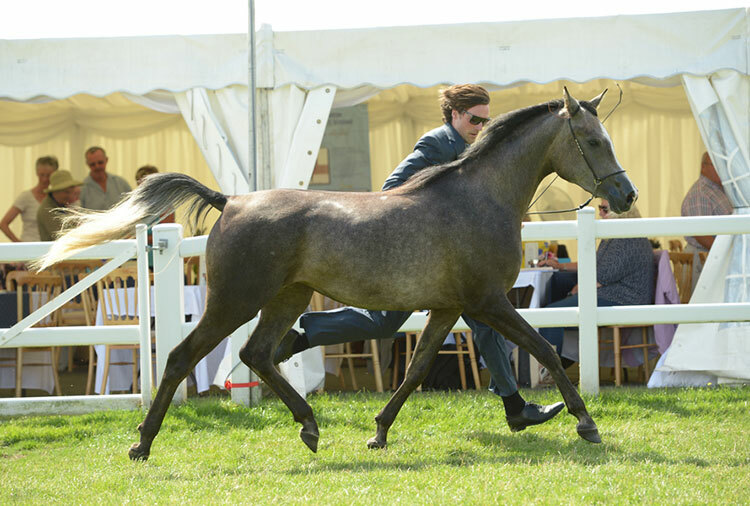 A crowd of people including Katey, Sophie, Sophie Adesina and Livy as well as two lorryloads of horses set off for Malvern early last Thursday morning for The Arab Horse Society National Championships. 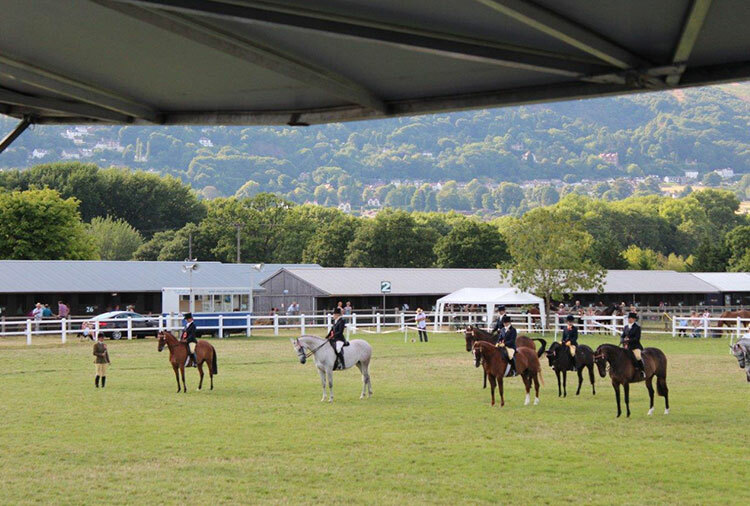 The sun beat down on the Three Counties Showground while Katey competed a succession of young horses in ridden showing classes, dressage and showjumping and Rory exhibited Paulownia in-hand. Not all results were as stellar as we had hoped but Bartramia was second in her ridden class and gave the judge a fantastic ride. Schokolade and Elam had their first, invaluable experience jumping away from home and Becasse scored up to 9s in his dressage test. 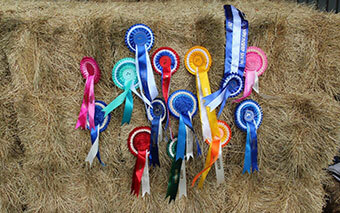 The following day Kim and Dave joined the fray with five different horses. 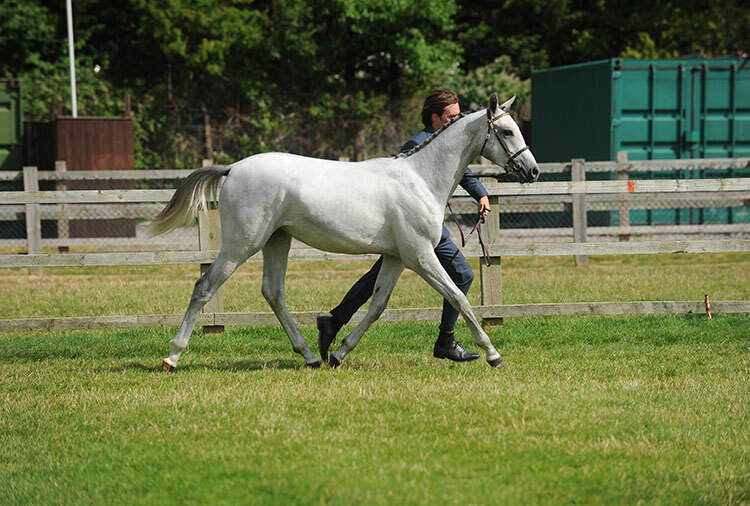 Persiflage came away from the show the Anglo Arab Ridden Reserve Champion and Stracciatella won her Part bred ridden class. Rory was heard to remark that you could wander around any part of the showground “and find Katey Cuthbertson competing” but he also was fairly ubiquitous, showing Katey’s two-year-old Persiflage-sired gelding, Oare House Hero, out of a Welsh Thoroughbred cross mare and winning a blue rosette with Scomber in their yearling Part bred class. 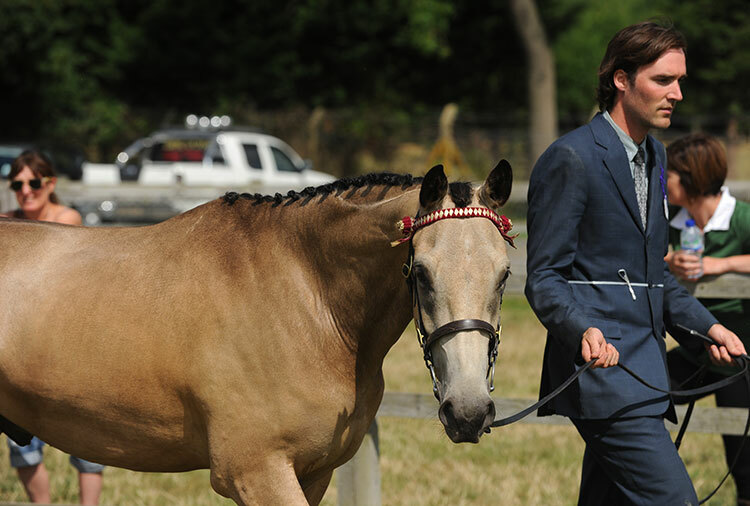 Piquante rounded out the showing for Malvern, competing in several dressage and showjumping classes acquitting herself admirably showing her increasing maturity. 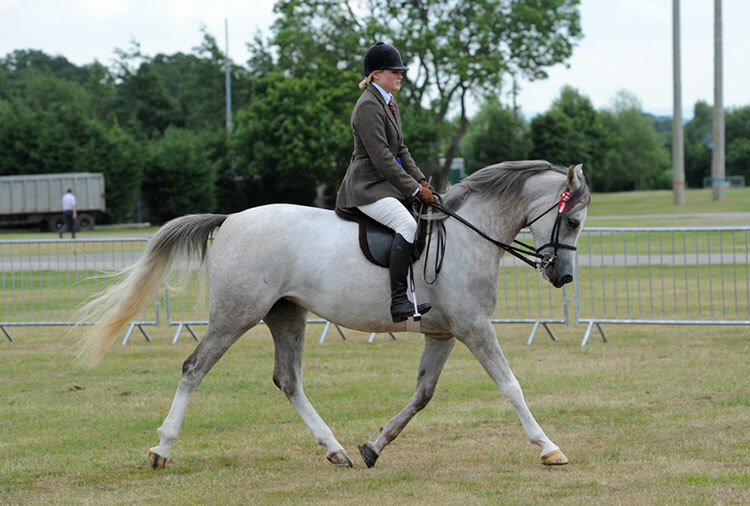 Sunday was taken up with the one day event at Wilton where Annaliese was doing her first Novice and Imbroglio was competing in an Intermediate section. The event proved to be more of a learning experience than a prize-winning one with Annaliese retiring during cross country and Katey being unseated from Imbroglio when she banked a big table fence before climbing back on and finishing with no more problems. 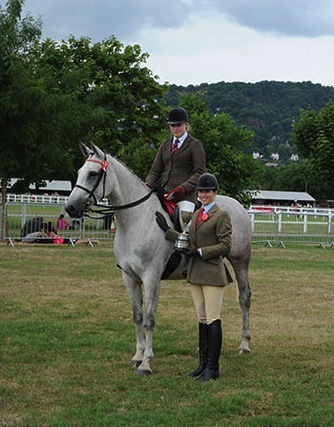 Across the channel Dace Sainsbury and her Biddesden-bred Pure bred Arab mare Ballota were a hotly tipped pair for the Young Rider World Endurance Championships in Tarbes, France. Sadly within a few kilometers of the start Ballota was kicked badly in the face by another horse, sustaining a deep cut (requiring six stitches) and fractures just under the eye. She had to pull out of the race. Thankfully both horse and rider are now all right despite the disappointment and are now back on English soil. For more candid pictures from Malvern check out our Instagram page.